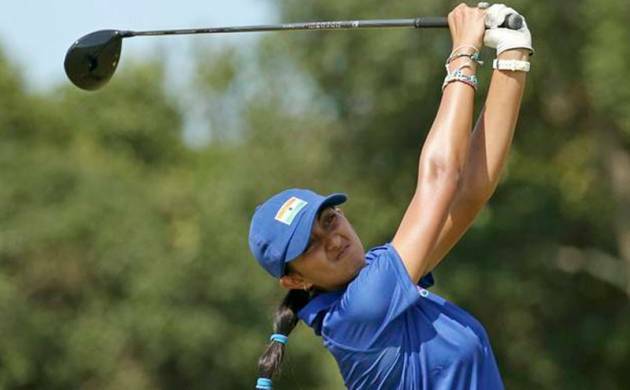 India's Aditi Ashok went through a horrendous third round of eight-over 79 to drop 23 places to be tied 31st in the women's golf event at the Olympic Games here on Friday. Now she has a three-day total of two-over 215. With Friday's performance, her hopes of getting a medal ended. Aditi, the youngest woman golfer at Rio, got a bogey on the second hole before pulling things back with a birdie on the fifth. But she carded a bogey on the seventh hole to complete the front-nine with a score of one-over 36. In the back-nine, she made three consecutive birdes starting from the 11th before getting two more bogeys on the 18th to get a 79. Meanwhile, overnight leader Inbee Park of South Korea carded a quiet 70 to continue her reign at the top with a 54-hole total of 11-under 202. Two strokes behind Inbee were New Zealand star Lydia Ko (65) and Gerina Piller (68) of the United States. Chinese Shanshan Feng was fourth after carding 68 that took her total to eight-under 205. China's Lin Xiyu and Lydia made historic hole-in-one efforts on the par-three eight.